Due to bad - mostly too cold - weather, Safari was only minimally driven; about 200 miles from November 2012 to March 2013. I had come to the conclusion that top down was the only way to go and cold weather makes it difficult. 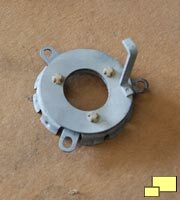 Air in the brakes had been a constant problem for Safari. Basically the pedal would go soft and require two or three "pumps" to get the right feel, obviously not an optimal situation. 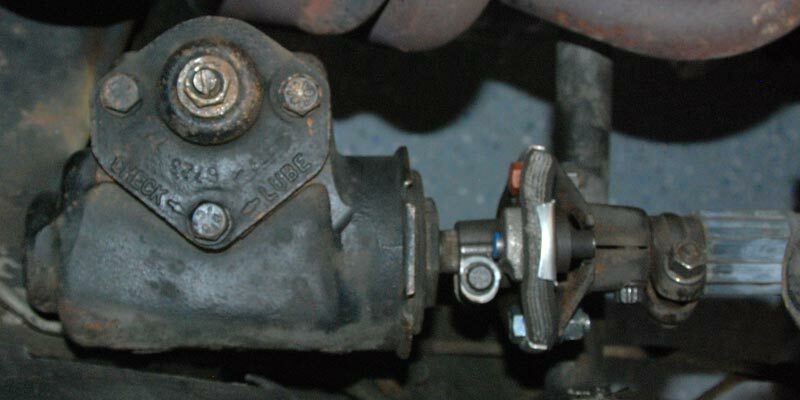 We would then bleed the brakes, noting air in the right rear caliper. After about 500 miles the situation would return. Some Googling resulted in this interesting article: www.mamotorworks.com. 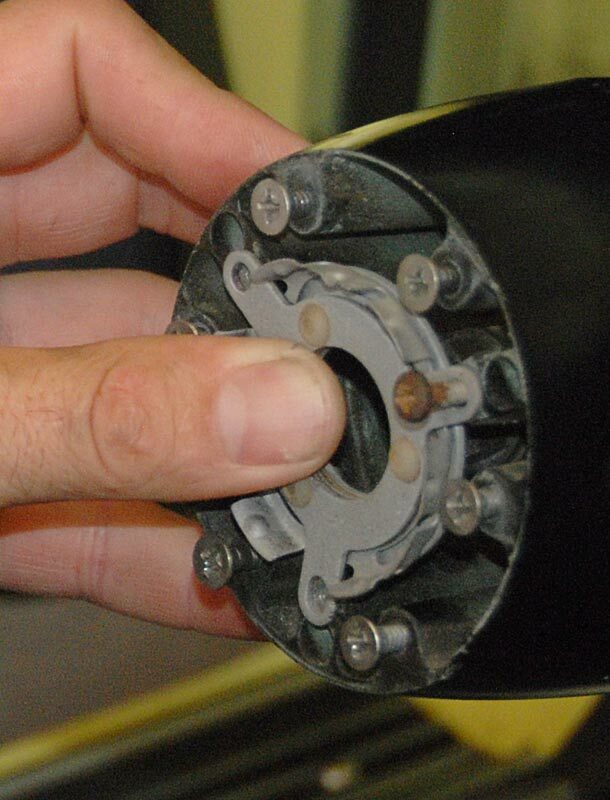 One of the problems discussed was brake sponginess and "worn or mis-adjusted wheel bearings, warped ("out-of-true") rotors, a bent spindle face, or any combination of these faults." was listed as likely culprits. Mechanic Paul was a bit incredulous, as it seemed as though if that was the situation we would feel vibrations in the brake pedal and there weren't any. We did however note a pulsing sound when the brakes were applied. 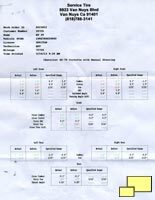 It turns out the right rear brake rotor was out of round by .080 inches, a lot considering the specification was for only .008 inches. 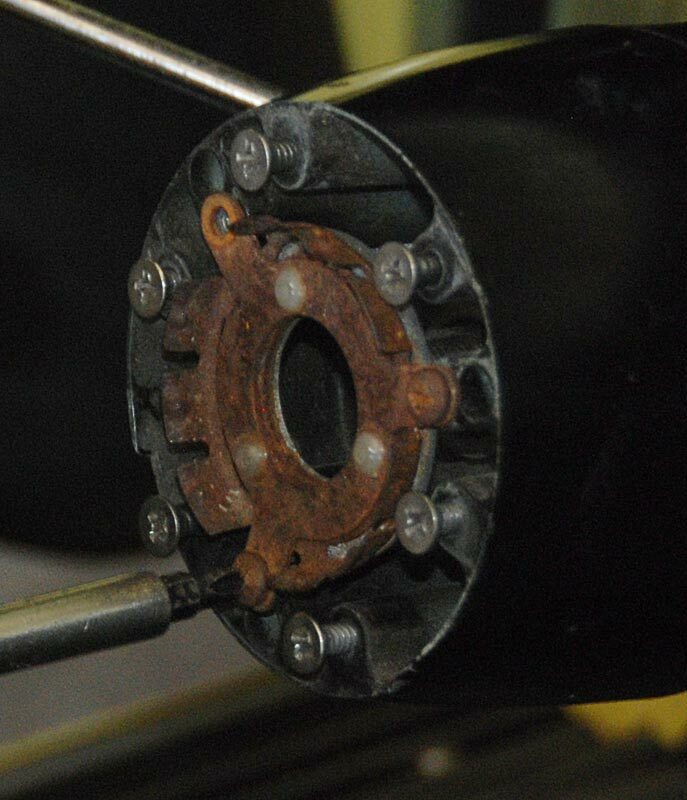 Paul trued the rotor and a couple thousand miles later the problem has not returned. Chalk another victory up to perseverance and tenacity! 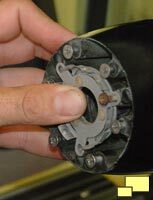 The steering still had too much play in it, so a steering coupler was ordered from Zip-Corvette (part number SC-377, $99.95 including shipping) As with many the other parts, the coupler looked like it had never been replaced since it was installed in 1968. Left: BFG Silvertown P 215 /70R15 Redlines waiting for installation. 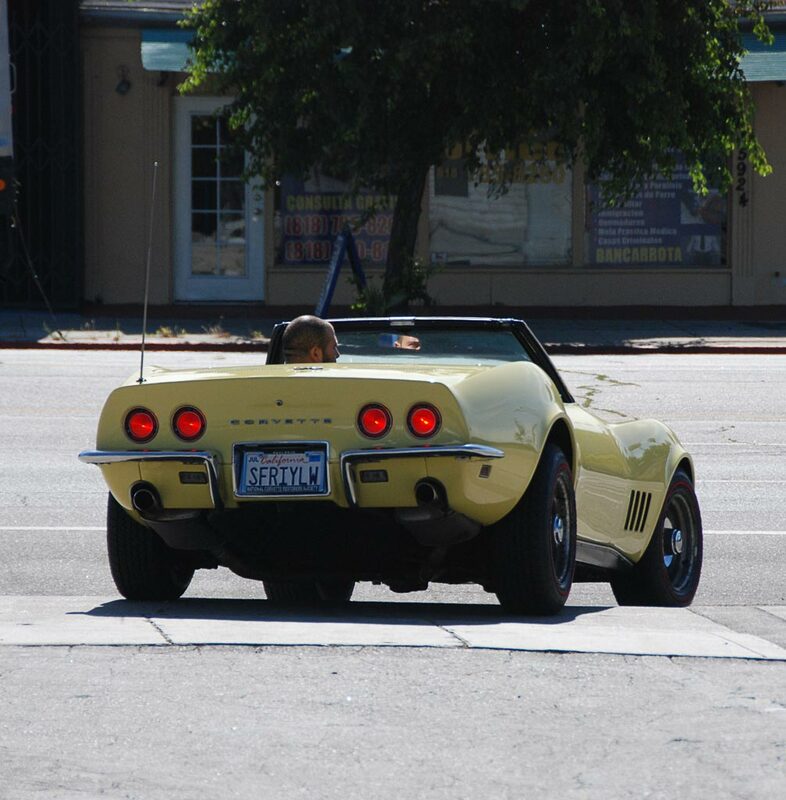 Right: It is kind of strange to see someone else drive off in your Corvette, even if it is the alignment man taking a test drive. The next big step was tires. 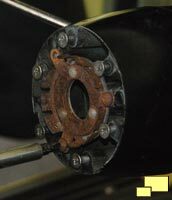 The ones supplied by the previous owner had worn very unevenly, with the wear bands on the right front showing and the left front about to appear - with under 10,000 miles. The problem, no doubt, was the bad need of a front end rebuild that was taken care of November 2012. 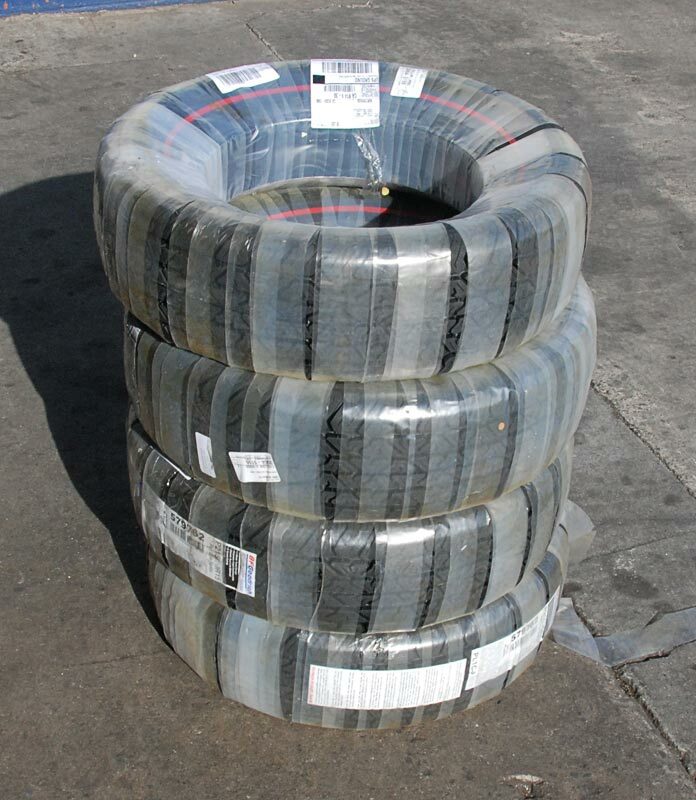 A set of four Coker BFG Silvertown P 215 /70R15 Redlines were ordered from summitracing.com at a cost of $960.95 including shipping. 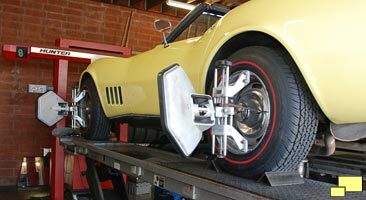 A full four wheel alignment, along with the tire installation, was performed by Service Tire in Van Nuys CA. 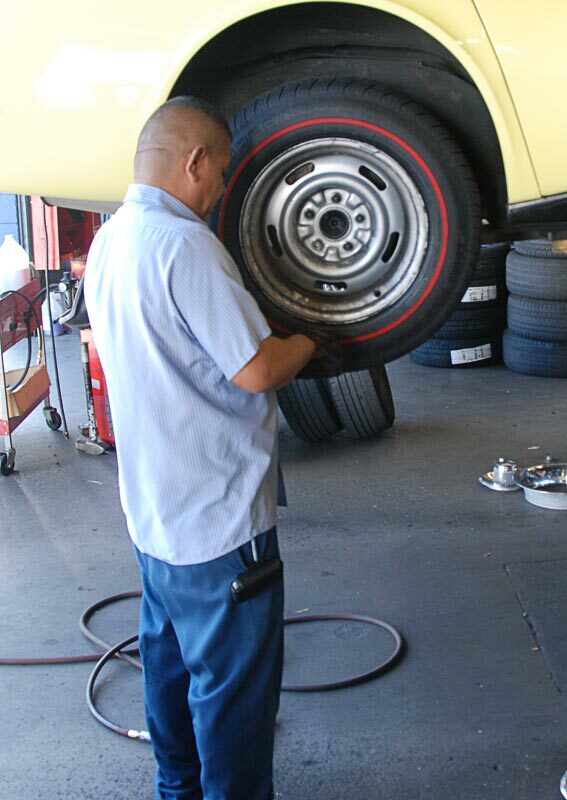 The new tires was the third major step towards improving the way Safari drove. The first was the front end rebuild by Paul Wustrack. 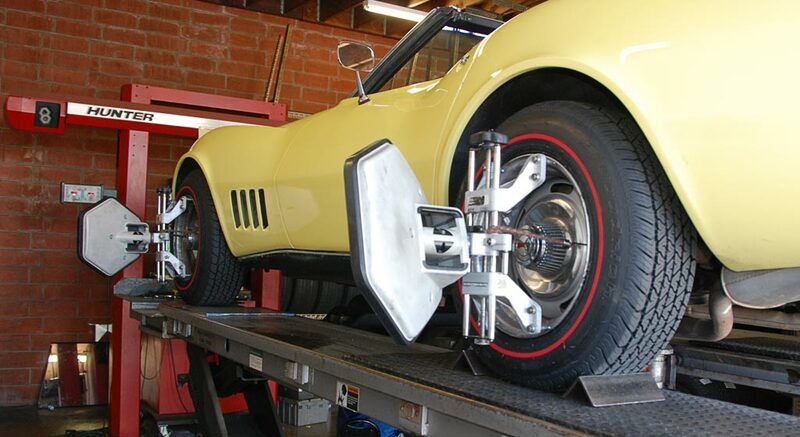 This reduced the tendency for the tires to follow the grooves in the freeway. 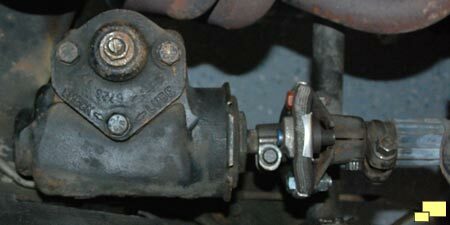 The second was the new steering coupler which took a lot of the play out of the steering. 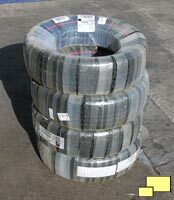 The third item was the new tires which also improved steering feel and effort. 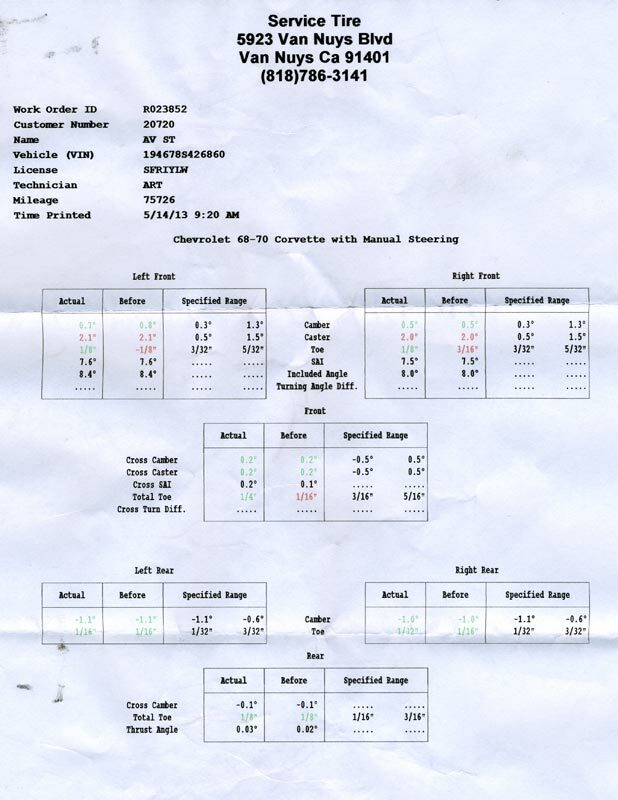 This is not to say the FALKEN Sincera Touring tires installed by the previous owner were bad tires; they basically never had a chance with a front end needing a rebuild. After about two years of ownership, Safari still had one unfinished business item: the steering wheel. 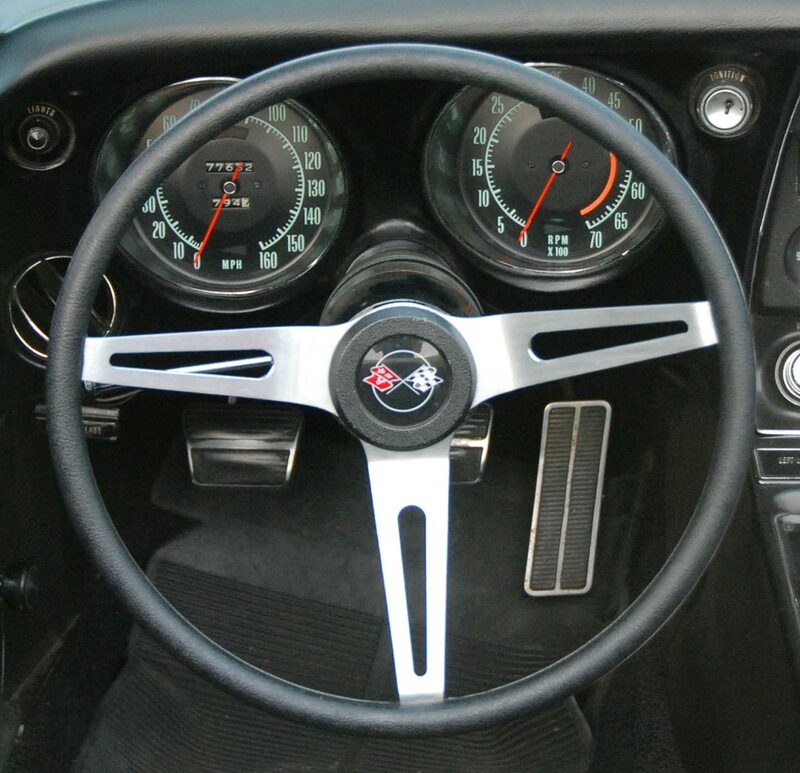 The previous owner did not like the original steering wheel (below left) that was supplied in all 1968 Corvettes, which was understandable. It was too large and caused some comfort issues as the drivers hand would bump up against the thick upper part of the door panel. It also included an offset that caused it to be too close to the driver. 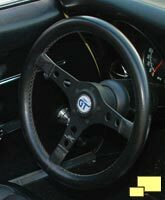 GM basically admitted that it was a mistake by issuing a one inch smaller diameter steering wheel which also had a lower offset for 1969. 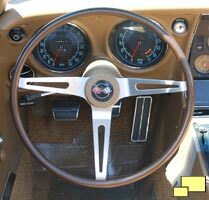 Many 1968 owners - both when the car was new and today - have switched to the later model steering wheel. 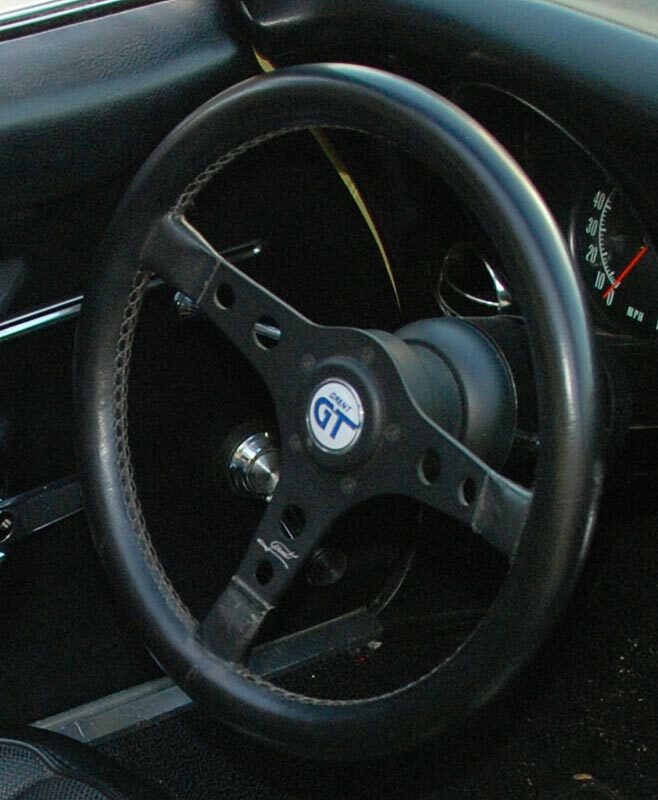 The previous owner recognized the problem but came up with a bad solution: the "Grant GT" steering wheel (above right). It was basically a functional and visual disaster. While it did resolve the problem of the drivers hand hitting the door panel and its minimal offset caused it not to be too close to the driver, it carried some serious negative baggage. The small size coupled with the lack of power steering resulted in low speed (especially parking) maneuvers that were a real physical effort. It also obscured the upper half of the gauges. As usage accumulated, the low quality stitching started to fall apart. And it screamed "CHEAP" to the point of embarrassment. 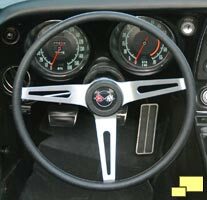 The solution for many 1968 Corvette owners was to install the steering wheel that came with the 1969 and later (up to 1975) Corvettes. While not technically correct, it could be argued that it was "period correct" since it was installed by many owners on their new 68s. 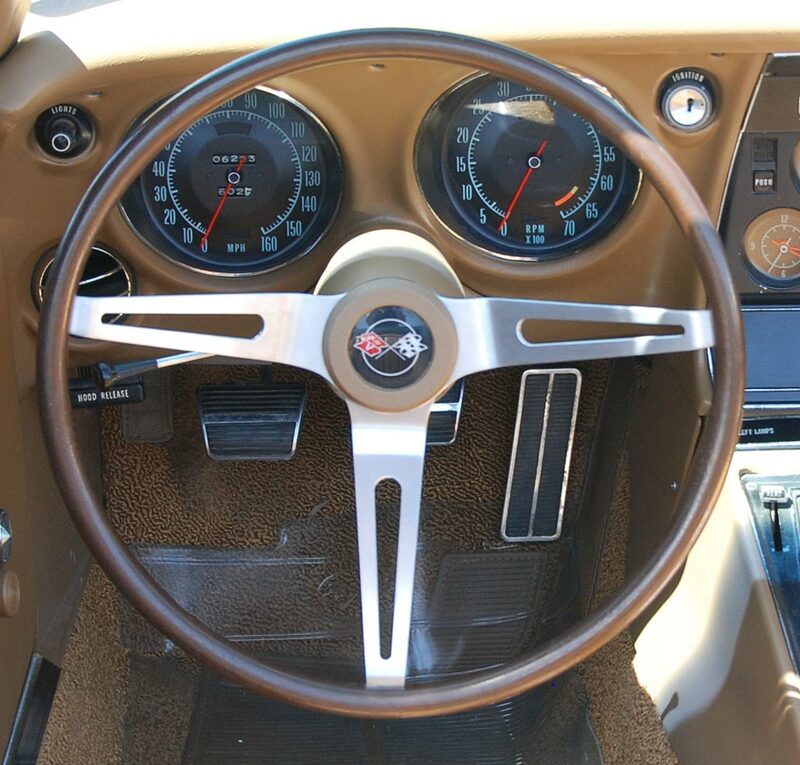 Above and below: 1968 (left) and later vintage steering wheels as installed in C3 Corvettes. The one inch diameter difference as well as the offset is apparent. 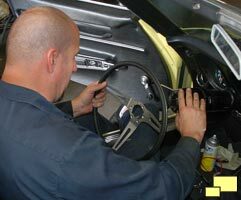 Unfortunately changing the steering wheel involved more than just the purchase of a new wheel as I did not have access many other parts that are necessary, such as the hub / adapter, horn switch, horn button and so on. 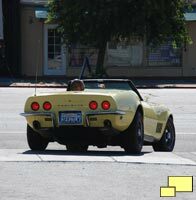 A trip to a local Corvette boneyard (now that can be a fun afternoon!) procured what I needed but also highlighted a problem with 1968 Corvettes; some parts are exclusive to that year, making them hard to locate. 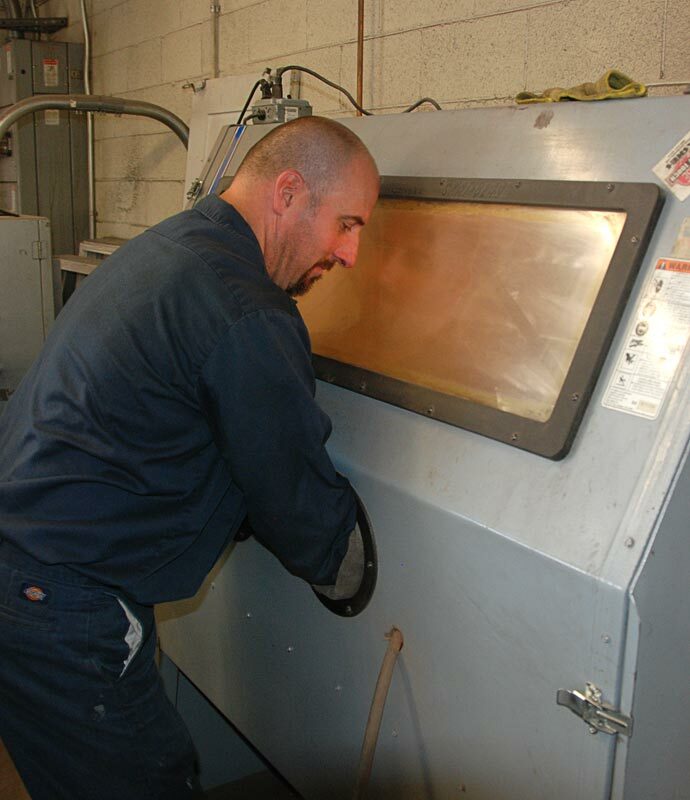 Compounding the problem is that updates and other changes were common during 1968 production making parts sourcing more difficult. 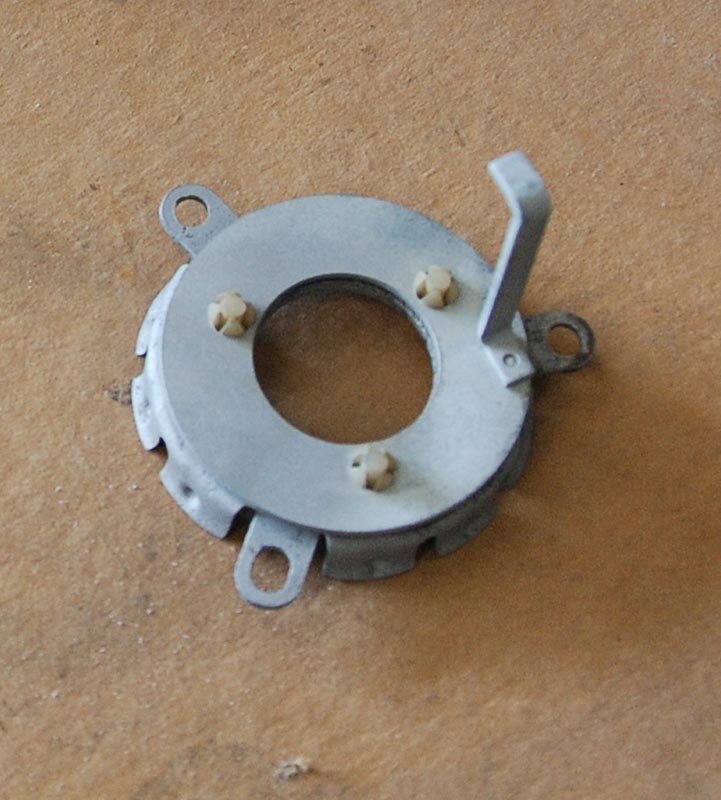 Above left: The horn switch sourced from the Corvette junkyard. It was the best I could find but did not function electrically. 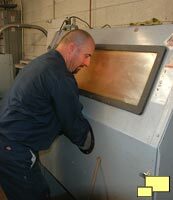 Fortunately a sandblaster was available (second from left). The switch was able to be mostly functional but a new or better one will be needed. 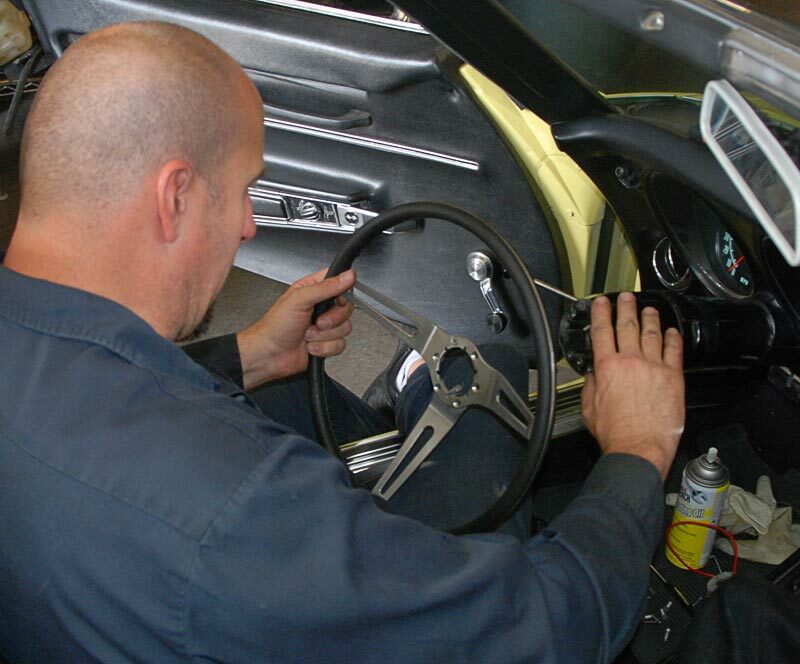 Left: the upgraded steering wheel is installed. Right: SOOOO much better!